The largest war memorial in Chippenham consists of 39 streets on the Pewsham estate. 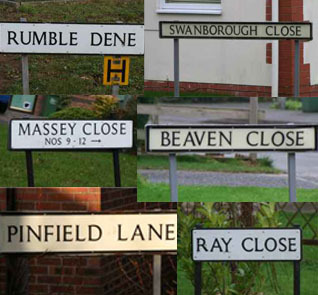 The streets are name after 53 men from Chippenham killed in both World War. The difference between the numbers is due to some streets named after more than 1 person, e.g. Chivers Close is named after Albert, Edwin, Sydney and Michael Chivers.